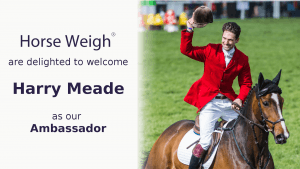 Horse Weigh are excited to announce ‘Harry Meade’ as our brand ambassador. 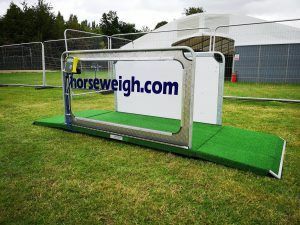 Horse Weigh provides the weighing platform at the stables for all Burghley competitors, every year. This year at Burghley Horse Trials, Clare Balding talks to our ambassador Harry Meade about how important using his Horse Weigh Scales are to preparing for the big event. 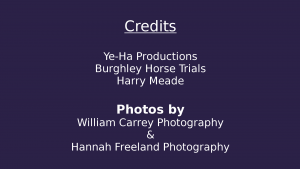 View Harry Meade’s interviews and highlights from Burghley Horse Trials 2018. The Olympic model, shown above, is 4 foot wide (1.22m) and comes with either a see -through side or metal sides covered in foamex to cushion the horse. Many of the international riders like to weigh their horses daily in order to monitor the condition of their horses, especially after travelling long distances and the cross country phase.